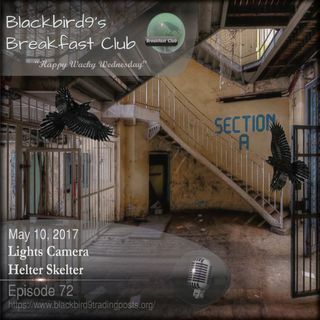 Welcome to Blackbird9's Breakfast Club's Wednesday Podcast Lights Camera Helter Skelter. Tonight we will discuss the history of the Charles Manson mythos. In the First Hour Host Frederick C. Blackburn will cover the recent chaotic events brought on by the teachings of the Frankfurt School Marxists. Their mission: establish a Greater Israel ruled by globalism under the direction of ... Más informaciones Talmudic Noahide Law and at the same time force all other nations to surrender their independent sovereignty. In the Second Hour, the host looks at the history of the Charles Manson mythos, its origin in the (((Counter Culture))) of the 1960s, its curious players in the spotlight and in the shadows , its marketing and its use as a psychological weapon by the Jewish media to push their White Genocide agenda by agitating race relations in the post U.S. Civil Rights Act of 1964 era.